There are a lot of Assault Pre-Workout reviews around and many of them either rave about how great this supplement is or completely hate on it. It can be hard to find many balanced reviews of this supplement. 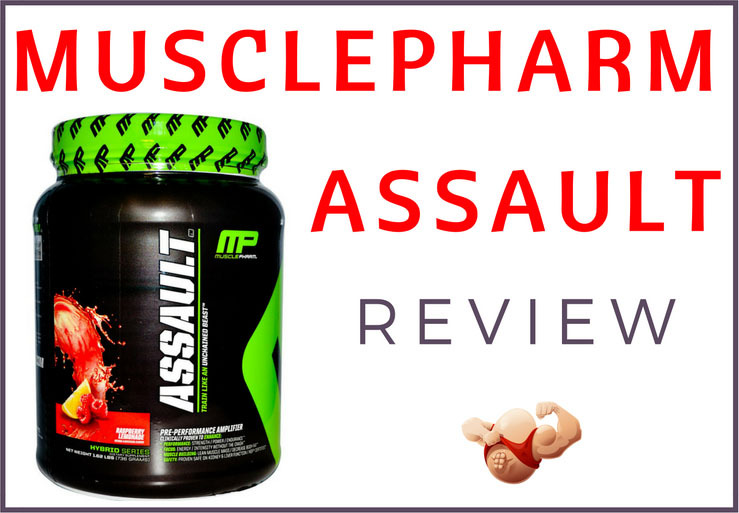 This MusclePharm Assault Review aims to provide an unbiased account of exactly what this product does and its good and bad points so that you can make an informed decision about buying this pre-workout supplement. I’m a big MusclePharm fan but I must say that the products aren’t for everybody so let’s get stuck into the review! 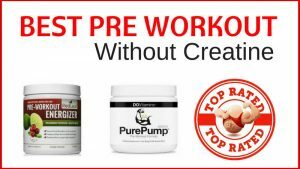 First things first, when looking for a pre-workout supplement, most people want something that is going to give them a physical and mental boost in the gym. Pre-workouts are supposed to give you greater endurance, more strength, and better pumps. If you’ve dabbled with pre-workouts before, you know what to expect. 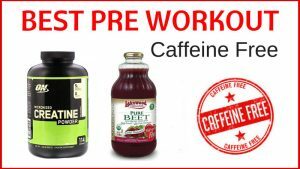 Most pre-workout supplements have caffeine and other stimulants. They also have their own nitric oxide booster formula, and a bunch of different vitamins. Pre-workout supplements have a bad reputation at the moment because a bunch of them have been banned and pulled off the shelves. Some pre-workouts have ingredients that will get you disqualified in athletic com﻿petitions. Many pre-workouts have nasty chemicals and some of them have really harsh side effects, like rapid pulse, energy crash, and irritability. Therefore, good pre-workout supplements are ones that have few and minor side effects, use healthy supplements, and still deliver the power you need to crush it in the gym. That’s where MusclePharm Pre Assault XT comes in. MusclePharm Assault has a high quality mixture of amino acids, glutamine, creatine, beta-alanine, niacin, red beet, MCTs, caffeine, and huperzine A, along with many other great ingredients. 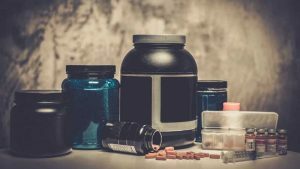 If you’re well versed in pharmacology, or you’ve simply been on the fitness scene for a few years, you’ll notice that those ingredients are quite different from the chemicals that typically fill up pre-workout supplements. You’ll notice that this truly is a decent range of ingredients. Obviously it’s got caffeine and nitric oxide boosters like most other pre-workouts but take a look at some of the other ingredients. It has MCT oil and huperzine A, which are both fantastic nootropics that do great things for the body and the mind. Not only that but the nitric oxide boosters in MusclePharm are natural and top quality, mostly derived from beetroots. You will feel clear headed and focused after a scoop of MusclePharm and ready to power through your workout. The best thing of all is that this product is specifically designed for steadily released energy. There’s no rush shortly followed by a crash. It’s just stable and reliable energy to get you through your workout. If you’ve read any other MusclePharm Assault review, you’ll know that many users mention the fact that you don’t get insane pumps with this product. You do get good pumps but they aren’t as great as with other products. But I would gladly sacrifice a little bit of pump for less side effects and MusclePharm definitely has very few side effects. Unique and healthy ingredients. You will definitely feel the difference between MusclePharm and other pre-workouts because MusclePharm uses only the highest quality ingredients. There’s no garbage filler here. Well priced for what you get. MusclePharm Assault is well priced, which makes it quite a bit cheaper than the other lesser quality pre-workouts on the market. When you realize you’re getting one of the best pre-workouts around, this price is a bargain. 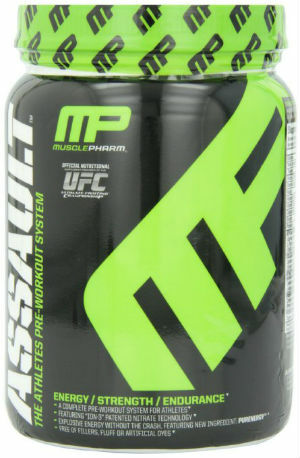 MusclePharm Assault side effects are very few. This is a company with great integrity and they have specifically designed this product so that it doesn’t give you too many side effects. The pumps aren’t as huge as with other products but you also don’t get the irritability or huge crash. MusclePharm has creatine in it. This might be a good thing or a bad thing. 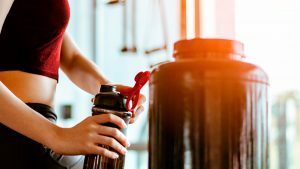 For many gym-goers, having creatine in their pre-workout isn’t always the greatest thing because they already have a separate creatine supplement. 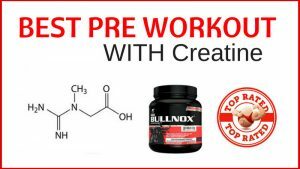 Many people want their pre-workout to give them pumps and focus and don’t need extra creatine. I don’t personally mind this because this saves me money on a separate creatine supplement. The pumps and energy aren’t as much as other pre-workouts. I actually think this is a good thing. So many pre-workouts make you feel crazy like you’ve taken something dangerous and illegal. 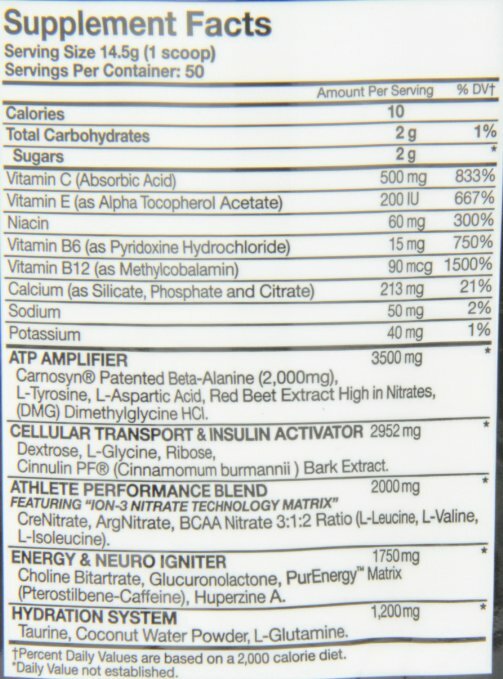 But the MusclePharm Assault side effects are so few because this product has moderate benefits. I think MusclePharm really delivers but if you’re looking for something that is really going to blow your muscles up, this isn’t it. MusclePharm has quite a big scoop and doesn’t mix super well so you need to use a lot of water and really make sure to stir it. I hope this MusclePharm Assault review has helped you in your decision to purchase this supplement. If you’re looking for a healthy pre-workout with some unique ingredients and you want to feel mentally and physically great with many extreme side effects, I would definitely recommend you try MusclePharm Assault.